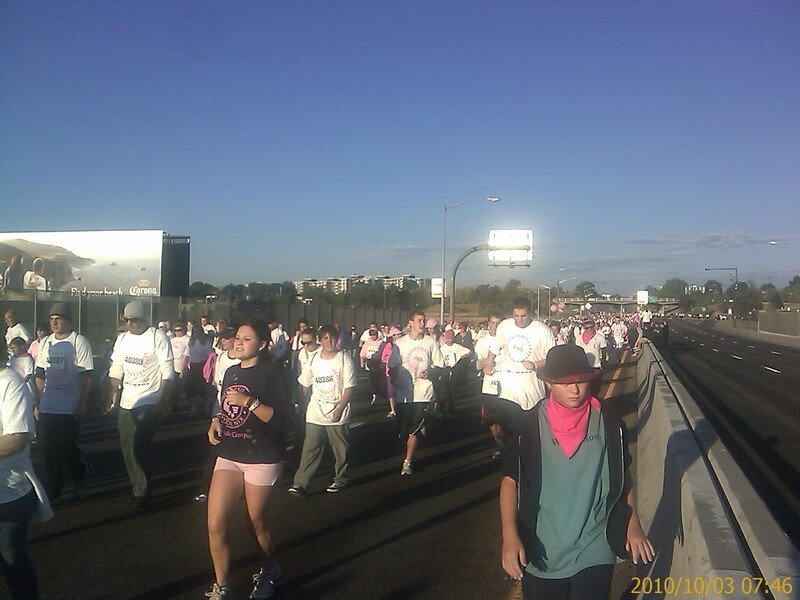 Denver—Early Sunday morning on Oct.3, the streets of Denver were flooded with a sea of people wearing pink and white preparing to race for a cure for breast cancer. An estimated 54,528 runners and 1,200 volunteers from all over Colorado met at the Pepsi Center in Denver to participate in the 18th Susan G. Komen Denver Race for the Cure®. “The goal of the race is to promote awareness of beast health and to raise money for breast cancer screening, treatment and research programs,” said Executive Director Michele Ostrander of the Denver Metropolitan Affiliate of Susan G. Komen for the Cure®. “The part of the race that really sticks in my mind is right before it starts, when everyone gathers at the starting line,” said Kali Watson, a race participant. Watson did the 5k Co-Ed Run/Walk race at 7 a.m. There was also an 8 a.m. 5k walk and a 9 a.m. family 1 mile fun walk. The runners and walkers of the 5k races made their way through the streets of Denver starting on Speer Boulevard going west to 27th Ave., then making a left on to Federal Boulevard and heading towards Colfax Avenue where they followed the crowd to the finish line on Auraria Parkway. “The streets are filled with people,” Watson said. “When you get to the top of a hill you can see all the people in front of you and the streets are covered in pink and white. Watson has done the Komen Denver Race for the Cure for four years and drives from Fort Collins to participate. “I do the race every year because it makes me feel like I am helping to find a cure for best cancer,” she said. Ostrander said, “I am touched by the survivors who participate in the Race by riding in one of our pedicabs.” These are the survivors who are still going through treatment and who may not have the strength to walk the course. 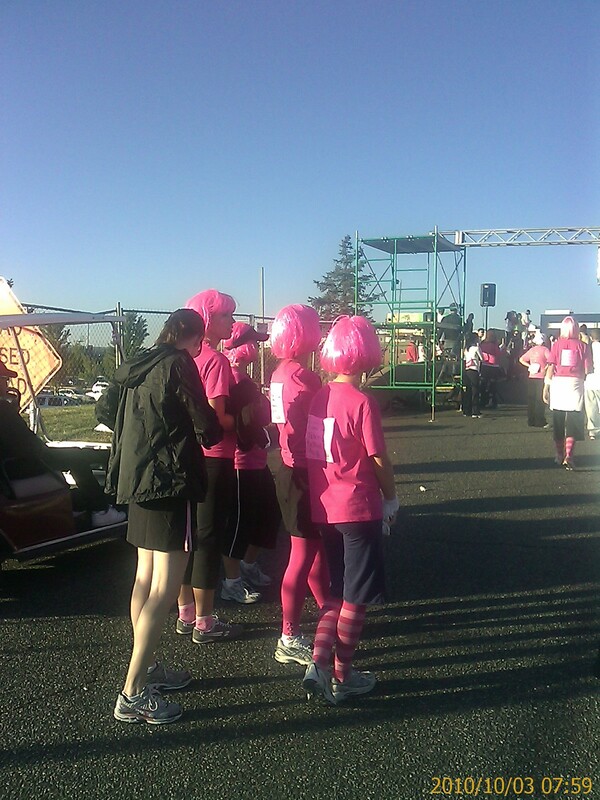 The race is named after Susan G. Koman, who died after a three-year battle with breast cancer. Her sister and ambassador of Susan G. Komen for the Cure, Nancy Brinker told her sister she would do anything she could to end breast cancer, Ostrander explained. At the closing ceremonies all the survivors are in pink around a stage in bleachers, they are “women with over 25 years of survivorship to women who were just recently diagnosed,” Ostrander said.